New software from AGMA helps gear designers calculate geometry and ratings for all types of bevel gears. There's no substitute for a good software package in gear manufacturing. It's a critical shop floor tool that provides practical engineering services that customers appreciate. When you're in the business of specifying and procuring high quality gears, the software needs to meet many objectives including the consideration of all tolerances of center distance, tooth thickness and tip diameters, root diameters, fillets, etc. It's also imperative that the software updates include the latest revisions to the gear standards being used in the industry. Dontyne Systems, a U.K. company founded by Michael Fish and David Palmer, recently unveiled a new software program for its Gear Production Suite. Synopsis on the latest developments at several gear design software developers. It’s a brave, new hardware-software world out there. Players in the worldwide gear industry who don’t have plenty of both run the risk of becoming irrelevant—sooner than later. Designing and manufacturing gears requires the skills of a mathematician, the knowledge of an engineer and the experience of a precision machinist. For good measure, you might even include the are of a magician, because the formulas and calculations involved in gear manufacturing are so obscure and the processes so little known that only members of an elite cadre of professionals can perform them. New Software/Hardware updates for the months of January/February 1997. The aim of this article is to show a practical procedure for designing optimum helical gears. The optimization procedure is adapted to technical limitations, and it is focused on real-world cases. To emphasize the applicability of the procedure presented here, the most common optimization techniques are described. Afterwards, a description of some of the functions to be optimized is given, limiting parameters and restrictions are defined, and, finally, a graphic method is described. Software updates for the gear industry. What's new and noteworthy in software applications in 2017? Most gear cutting shops have shelves full of expensive tooling used in the past for cutting gears which are no longer in production. It is anticipated that these cutters will be used again in the future. While this may take place if the cutters are "standard," and the gears to be cut are "standard," most of the design work done today involves high pressure angle gears for strength, or designs for high contact ratio to reduce noise. The re-use of a cutter under these conditions requires a tedious mathematical analysis, which is no problem if a computer with the right software is available. This article describes a computerized graphical display which provides a quick analysis of the potential for the re-use of shaving cutters stored in a computer file. Adaptation key to success for gear software developers. A programmable algorithm is developed to separate out the effect of eccentricity (radial runout) from elemental gear inspection date, namely, profile and lead data. This algorithm can be coded in gear inspection software to detect the existence, the magnitude and the orientation of the eccentricity without making a separate runout check. A real example shows this algorithm produces good results. The availability of technical software has grown rapidly in the last few years because of the proliferation of personal computers. It is rare to find an organization doing technical work that does not have some type of computer. For gear designers and manufacturers, proper use of the computer can mean the difference between meeting the competition or falling behind in today's business world. The right answers the first time are essential if cost-effective design and fabrication are to be realized. The computer is capable of optimizing a design by methods that are too laborious to undertake using hard calculations. As speeds continue to climb and more power per pound is required from gear systems, it no longer is possible to design "on the safe side" by using larger service factors. At high rotational speeds a larger gear set may well have less capacity because of dynamic effects. The gear engineer of today must consider the entire gear box or even the entire rotating system as his or her domain. Impact Technologies considers commercial version of software package. A high number of wind turbine gearboxes do not meet their expected design life, despite meeting the design criteria of current bearing, gear and wind turbine industry standards and certifications. VDI has created a data exchange format that allows for the electronic exchange of all geometric parameters for cylindrical gears. Gear manufacturers are moving into an era that will see changes in both engineering practices and industry standards as new end-products evolve. Within the traditional automotive industry, carbon emission reduction legislation will drive the need for higher levels of efficiency and growth in electric and hybrid vehicles. Meanwhile, the fast growing market of wind turbines is already opening up a whole new area of potential for gearbox manufacturers, but this industry is one that will demand reliability, high levels of engineering excellence and precision manufacturing. 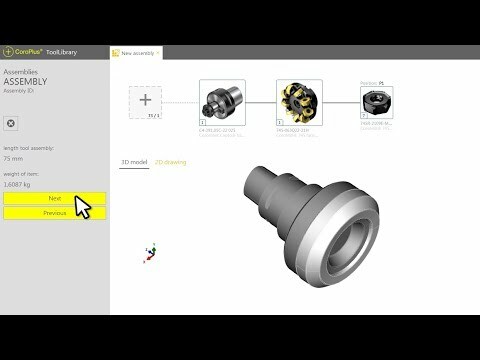 The machine element package by KISSsoft for the design and optimization of components like gears, shafts, bearings and others is now available in the new version 04/2010. A computational fluid dynamics (CFD) method is adapted, validated and applied to spinning gear systems with emphasis on predicting windage losses. Several spur gears and a disc are studied. The CFD simulations return good agreement with measured windage power loss. The first edition of the international calculation method for micropitting—ISO TR 15144–1:2010—was just published last December. It is the first and only official, international calculation method established for dealing with micropitting. Years ago, AGMA published a method for the calculation of oil film thickness containing some comments about micropitting, and the German FVA published a calculation method based on intensive research results. The FVA and the AGMA methods are close to the ISO TR, but the calculation of micropitting safety factors is new. Profile corrections on gears are a commonly used method to reduce transmission error, contact shock, and scoring risk. There are different types of profile corrections. It is a known fact that the type of profile correction used will have a strong influence on the resulting transmission error. The degree of this influence may be determined by calculating tooth loading during mesh. The current method for this calculation is very complicated and time consuming; however, a new approach has been developed that could reduce the calculation time. Arrow Gear Company of Downers Grove, IL, has implemented a computer system that fully integrates exchange between all of its computer applications. The ELIMS (Electronic Linkage of Information Management Systems) project has increased manufacturing productivity and reduced lead times. Information is the name of the game in the 90s. We need more of it; we need it faster; and we need it in infinitely manipulatable and user-friendly form. In many cases, getting it that way is still something of a Holy Grail, somewhere off on the distant horizon. But thanks to computer technology, bit by byte, we're getting there. It used to be that a shop with hustle and plenty of big, fast machines could thrive using a manual system. But no more. Today's economic environment requires more and more in the way of topnotch service and quick turnaround - which frequently means a completely integrated shop floor control system. In this issue of Gear Technology, we are focusing on using computers to their greatest advantage in gear design and manufacturing. In a sense, that's old news. It's a cliche to suggest that computers make our work life easier and more productive. No company that wishes to remain competitive in today's global manufacturing environment can afford to be without computers in all their manifestations. We need them in the office; we need them next to our desks in place of drafting boards; we need them on the shop floor. Welcome to our Software Bits page. Here we feature new software products for gear design, manufacturing and testing. In effect, this article continues a previous Gear Technology article, "Modeling Gears In Pro/Engineer," published in the January/February 1999 issue. The previous article discussed drawing involute gear teeth using a program built into the Pro/E software. 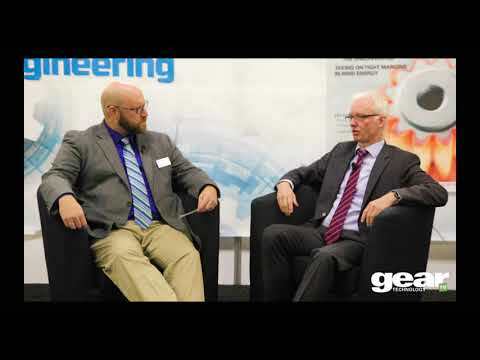 Gear metrology is a revolving door of software packages and system upgrades. It has to be in order to keep up with the productivity and development processes of the machines on the manufacturing floor. Temperature compensation, faster inspection times and improved software packages are just a few of the advancements currently in play as companies prepare for new opportunities in areas like alternative energy, automotive and aerospace/defense. With growing markets in aerospace and energy technologies, measuring hob cutters used in gear cutting is becoming an essential requirement for workpieces and machine tools. Zoller, a provider of solutions for tool pre-setters, measuring and inspection machines and tool management software, has developed a new partnership with Ingersoll/Germany for shop floor checking of hob cutters by a combined hardware and software approach. NVH — noise, vibration and harshness — is a key issue in the design and development of modern transmission and driveline systems. Software Bits for January/February 1999. Software Bits for January/February 2000. ITAMCO develops gear-related apps for the iPhone and related devices. Klingelnberg measuring centers eliminate trial-and-error with modern analysis tools. Contact fatigue and bending fatigue are two main failure modes of steel gears, while surface pitting and spalling are two common contact fatigue failures -- caused by alternating subsurface shear stresses from the contact load between two gear mates. And when a gear is in service under cyclic load, concentrated bending stresses exist at the root fillet -- the main driver of bending fatigue failures. Induction hardening is becoming an increasingly popular response to these problems, due to its process consistency, reduced energy consumption, clean environment and improved product quality -- but not without issues of its own (irregular residual stresses and bending fatigue). Thus a new approach is proposed here that flexibly controls the magnitude of residual stress in the regions of root fillet and tooth flank by pre-heating prior to induction hardening. Using an external spur gear made of AISI 4340 as an example, this new concept/process is demonstrated using finite element modeling and DANTE commercial software. In this paper, two developed methods of tooth root load carrying capacity calculations for beveloid gears with parallel axes are presented, in part utilizing WZL software GearGenerator and ZaKo3D. One method calculates the tooth root load-carrying capacity in an FE-based approach. For the other, analytic formulas are employed to calculate the tooth root load-carrying capacity of beveloid gears. To conclude, both methods are applied to a test gear. The methods are compared both to each other and to other tests on beveloid gears with parallel axes in test bench trials. The geometry of the bevel gear is quite complicated to describe mathematically, and much of the overall surface topology of the tooth flank is dependent on the machine settings and cutting method employed. AGMA 929-A06 — Calculation of Bevel Gear Top Land and Guidance on Cutter Edge Radius — lays out a practical approach for predicting the approximate top-land thicknesses at certain points of interest — regardless of the exact machine settings that will generate the tooth form. The points of interest that AGMA 929-A06 address consist of toe, mean, heel, and point of involute lengthwise curvature. The following method expands upon the concepts described in AGMA 929-A06 to allow the user to calculate not only the top-land thickness, but the more general case as well, i.e. — normal tooth thickness anywhere along the face and profile of the bevel gear tooth. This method does not rely on any additional machine settings; only basic geometry of the cutter, blank, and teeth are required to calculate fairly accurate tooth thicknesses. The tooth thicknesses are then transformed into a point cloud describing both the convex and concave flanks in a global, Cartesian coordinate system. These points can be utilized in any modern computer-aided design software package to assist in the generation of a 3D solid model; all pertinent tooth macrogeometry can be closely simulated using this technique. A case study will be presented evaluating the accuracy of the point cloud data compared to a physical part. Grinding fluids from Norton|Saint-Gobain, digital micrometer from Mahr, grinding centers from Haas Multigrind, updated software from KISSsoft. IMTS exists primarily as a buy-and-sell North American venue for practically every conceivable technology used in manufacturing, and in that regard it has no equal. There you’ll find on display the latest and greatest technology, from hardware to software and everything in between. But anyone who has attended past shows is aware that IMTS is much more than that. Following is a rundown of "extracurricular" activities you’ll find waiting for your edification and enjoyment. When the term, “what you see is what you get” is applied in the computer industry, it means that users or customers are able to see their end results without the encumbrances of complicated software code that enables this function. Software works behind the scenes ultimately to produce transparency and the desired effects. In many ways, this concept should be extended to the relationships that exist between suppliers and buyers and even among internal company departments. Mitutoyo offers capable, affordable and flexible gear inspection option via coordinate measuring machines and gear inspection software. Xspect Solutions Provides Wenzel Bridge-Type CMM Equipped with OpenDMIS Software for Basic Gear Measuring Capability with CMM Flexibility. MTB recontrols existing CNC machines and rebuilds manual change gear machines, such as gear shapers, hobbers, and grinders into precision machines by converting mechanical components to motorized servos with multiple axes and spindles using CNC controls. Specializing in Fellows, Fromag-Rapida, Hoglund, Kapp, Liebherr, Lorenz, Module, Pfauter, and Red Ring brands. Marposs is a global leader in measurement technology featuring a wide range of products and innovative solutions. Marposs&#039; comprehensive line of manual systems and machines for functional gear verification includes the M62 OBD Shaft (Over Ball Diameter) retoolable manual bench measuring system for checking gear shafts, and the M62 DF (Double Flank) measuring system, which is designed for dynamic inspection of ring gears with automatic part rotation.